Military Members We Salute You! 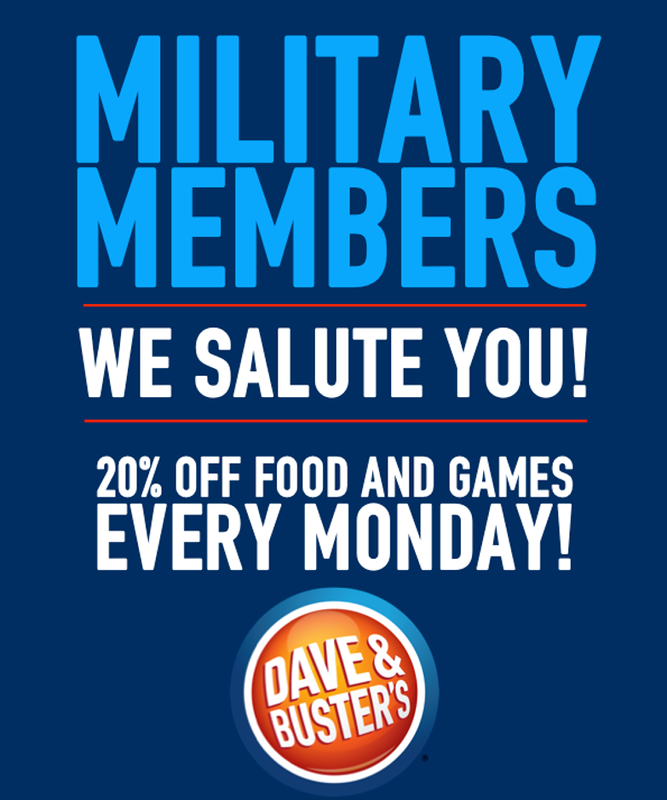 Military Members enjoy 20% off food and games from open to close EVERY Monday! Please present Military ID, be in uniform, or have proof of Veterans status at time of purchase.